From the moment you notice the first bed bug bite the only thing you could think about was how to get rid of them and how to do it FAST. Unfortunately effective bed bug treatments require time and patience because they are living creatures that cannot be eradicated overnight. There are a variety of natural and chemical treatments to help you end a bed bug infestation in your home. Many bug professionals would obviously recommend an all-chemical approach just as many environmentalists would recommend an all-natural treatment. Of course you and I know that the best and most effective bed bugs treatment is a combination of the two. The first step in any bed bug treatment is to correctly identify the source of the problem. Often we wake up and see one or two red bite marks and automatically assume it’s bed bugs. There are several different types of bugs that are often mistaken for bed bugs including cockroaches and spiders. Before you can come up with an effective treatment plan you need make sure you’re fighting the right problem. Identifying features for bed bugs are their flat shape, brown and light brown color and their small size. 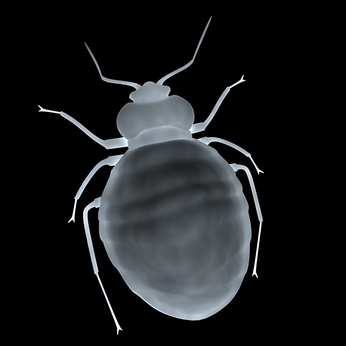 Contrary to popular belief, bed bugs can be seen with the naked eye. ü Dates when bed bugs and eggs were spotted. One of the reasons that many people have difficulty getting rid of bed bugs is because they don’t take notes and therefore ignore or forget to treat everywhere bed bugs have been fun. This treatment is a process, which means you need to keep track of what you’re doing to get rid of the bed bugs. Whether you choose a chemical or non-chemical bed bugs treatment plan, cleaning must be part of that plan. 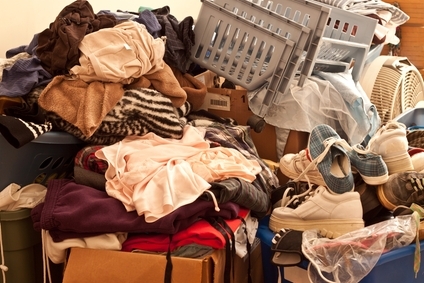 You will need to remove excess clutter from your home, particularly in places where there is prolonged human activity such as watching television, relaxing and sleeping. These are the areas in the home where bed bugs are most likely to congregate and clutter will make it difficult to treat the whole problem. Washing all clothing, bedding, pillows, slip covers and removable furniture upholstery. Vacuuming sofa corners, bed & sofa skirts and couch covers. Scrubbing floors, furniture nooks & crannies, mattress and box springs. Encasing large cloth furniture for protection once clean. Removing dead bed bugs and eggs. Although it is a prevailing myth, bed bugs are not attracted to dirt, grime and filth. They are attracted to warmth and blood but cleaning will kill bed bugs and removing clutter will take away some of their beloved hiding places. Exterminators are expensive for a household on a budget but there are times when you absolutely need professional advice for an effective bed bugs treatment. But just because he or she is a ‘pro’ doesn’t mean you shouldn’t ask questions or provide a list of your own treatment requirements. It is almost guaranteed that a bug expert will use some type of chemical treatment plan. Ask questions about what the treatment will entail and how long the treatment will last. As I said earlier, this is a process and you should know ahead of time how much time (and money) will be required to rid your home of bed bugs. Make sure your pro uses a chemical that is known to work on bed bugs. Run of the mill pesticides and bug repellants won’t work unless they are specific to bed bugs. Additionally you should make sure the chemicals are safe for use indoors and what kind of post-chemical treatments are required for furniture, clothing and dishes. Perhaps the most important part of any type of bed bug treatment you choose is follow-up. This means you need to keep your notes current and follow through with every step of the treatment process. If you forget to follow up on cleaning, looking for bed bugs and eggs or ignore your notes, the process for killing bed bugs will take much longer. Getting rid of bed bugs is like fighting a bug like the flu; taking your medicine every day until it’s all gone is the best way to kill it for good.